Save big this Halloween! 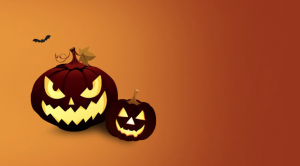 Our Halloween specials has started today and this is your chance to save50% forever on your Halloween dedicated server. You only have one day to buy one dedicated server for half the price. Are you stoked about this deal? Then you do not want to miss your chance, so hurry hurry get your discount! – Offer is only valid today and ends midnight november,1 (00.00 CET). – Te coupon applies to all servers except Dual Hexa Core, custom built servers, software licenses, automated backups and operating systems. – The coupon will be applied only once and cannot be combined with any other discounts. When you have a high traffic website it could be hard to handle the huge amount of traffic. Of course, there are many ways to deal with your increasing traffic like purchasing more hardware, but why spend more money when you could get the most out of your Ubuntu server with just a little effort? If you are looking for a way to spend less you could use a web cache proxy like Squid. This is an open source caching proxy for the Web supporting HTTP, HTTPS, FTP that reduces bandwidth. Squid also improves the response times by caching and reusing frequently-requested web pages. For example, if your visitor already opened a file on your website, the next time he opens the same file will be much faster due to the infrastructure of the proxy. So it definitely offers a rich set of traffic optimization options, most of which are enabled by default for simpler installation and high performance. – Squid enables you to deliver content from around the world, not everything will be copied but only the content that is being used. – You can control traffic for malicious content and remove it. – You can run Squid on many operating systems including Windows. If you wonder if Squid will work for your business we can tell you that a large number of websites already use it. Moreover, it is free to download so it might be worth to give it a try. The first maintenance window is planned Tuesday (October 15, 2013). It starts at 01:00 CEST and ends at 6:00 CEST. The second maintenance window is planned Tuesday (October 22, 2013). It starts at 01:00 CEST and ends at 6:00 CEST. 1) Insert a new linecard into one of our redundant gateway routers, BR2, and spread load over the new blade. 2) Phase out some low density blades to make room for new linecards in the future. 3) Reload one of the routers to enable the switching fabric turbo mode. SnelServer.com is directly connected to BR2, so our ports can go down for a few minutes if they need to be moved or if the router requires a reload. Otherwise, a brief hiccup while traffic is rerouted over the redundant links should be expected. During the maintenance window traffic will be sent over our other gateway router, BR3, to ensure minimum impact without downtime.